Top star Jang Geun-suk is eagerly participating in the Hallyu wave nationally and internationally. He is the ambassador of the Pyeongchang Winter Paralympics and he has a solid reputation in Japan. Jang Geun-suk met with 1,000 or so national and international fans in Choonchun, Kangwondo on the 9th. 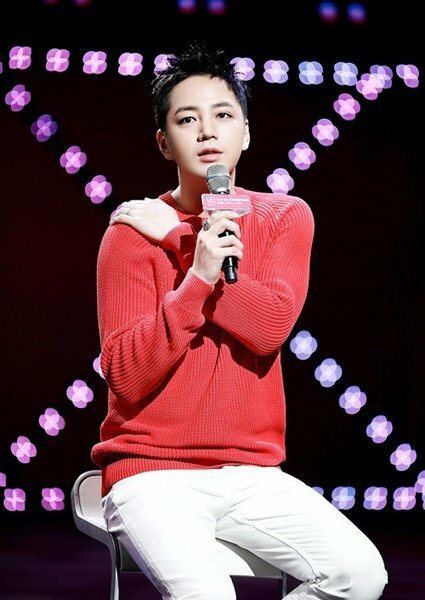 The Pyeongchang Winter Paralympics began on this day and Jang Geun-suk spoke to his fans about the various particulars of the event. He also bought tickets to the ice hockey game between Korea and Japan on the 10th with his fans. There's a train running locally in Japan relevant to his show in Osaka, Japan in January. From Tokyo in August last year, the JR Osaka began running in Osaka in February until the 1st of April. Jang's "The Crisshow"[sic] will also be broadcast on the 1st of April on TBS. He's also starring in an SBS drama called "Switch – Change the World" which begins on the 28th. As a Hallyu star, Jang Geun-suk is busy spreading the love and communicating with his fans.